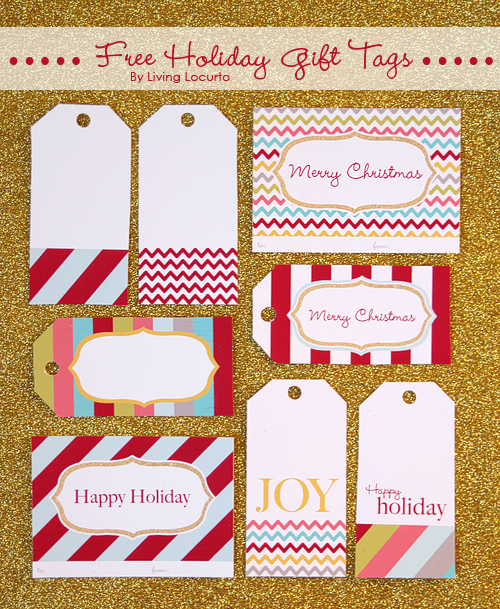 Need some adorable gift tags to add to your gifts? No need to run to the store. You can print them off at home for free. I found these gift tags at Living Locurto and have been adding them to wrapped gifts and yummy treat bags for neighbors and friends. Want to get some for yourself? You can download them here.